American Tank Company is proud to offer Highline Camouflage Tanks! Whether you love the look of camouflage or just prefer an inconspicuous tank that will fade into the background, we have the tank for you. 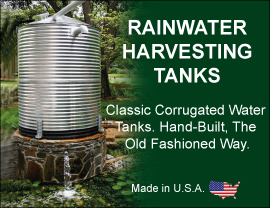 We offer a variety of different shapes and sizes and can build any tank to fit your needs. Uniquely designed camo decorative coating technology transforms metallic coated steel into camouflage masterpieces that can be used for military, recreational, or simply creative purposes. This resilient camo coating system provides a surface that remains looking fresh and beautiful from the time it is installed, and for decades therafter. In addition to its great looks and performance, this camo coating has been specifically designed with infrared reflecting pigment technology.